Nothing beats comfort food like mac and cheese! I absolutely love mac and cheese, but I don't love all the carbs and calories that come with it! Those I can definitely live without! 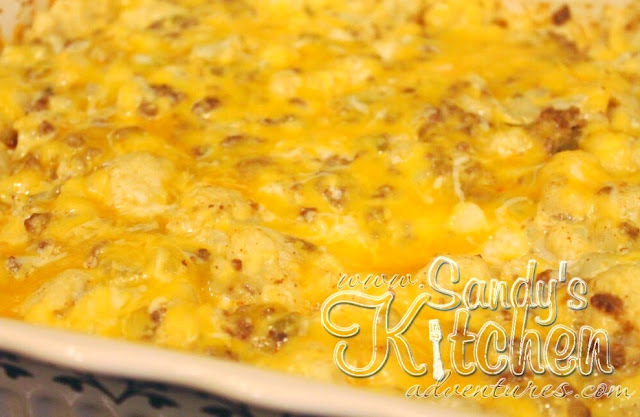 This recipe is a great alternative to traditional mac and cheese and it tastes pretty darn good if I do say so myself. You still get the same great taste from the gooey cheese sauce, but without the starch from pasta. 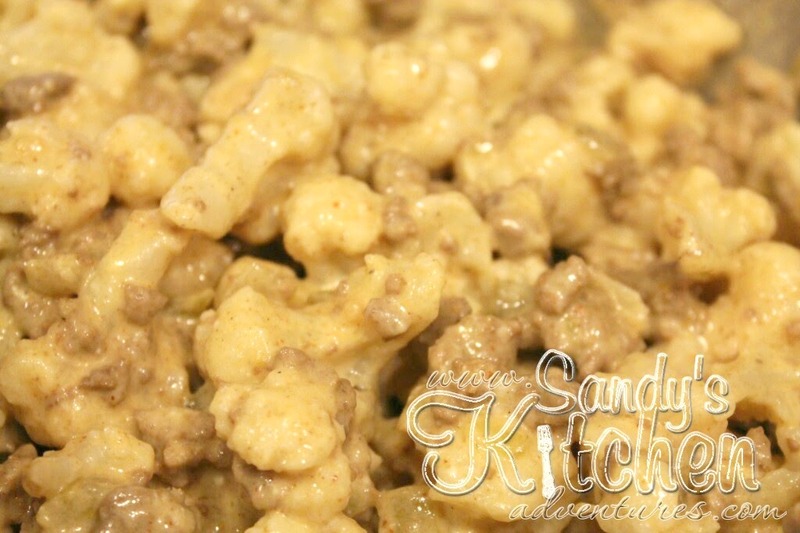 I gave this mac and cheese a little kick by adding some green chilies, green peppers and taco seasoned ground beef. 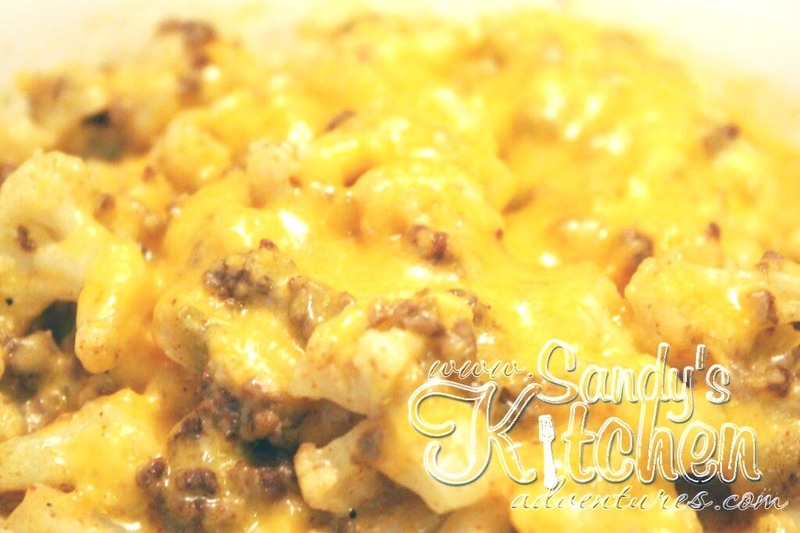 Mexican Mac and Cheese! Sometimes you need to add a little variety to your meals! And why did I need comfort food on this very day? Not that I needed a reason to make comfort food, but if I had a reason, it just might make me feel better. Okay... probably not, since this dish is totally on plan and I have no guilt whatsoever in devouring it because yes... that is what I did. Not a morsel left on my plate. It just felt like I was cheating, even though I wasn't. Now this is what I saw outside in my backyard! 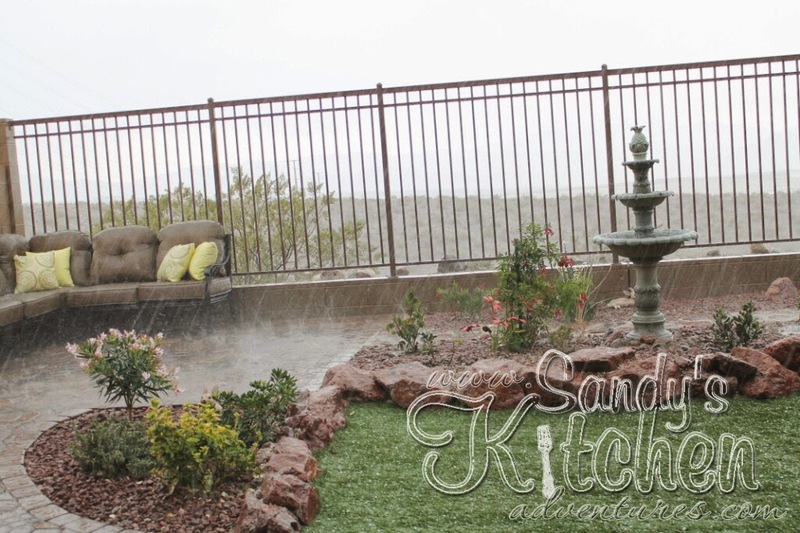 A cloudy rainy day in Vegas screams comfort food! 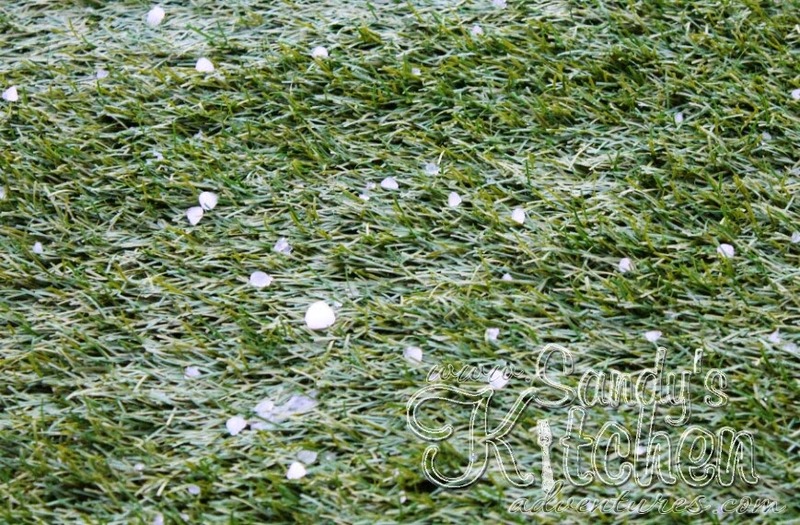 Not only was it raining, but there was hail! In the month of May! Now if that doesn't scream comfort food, then I don't know what does. 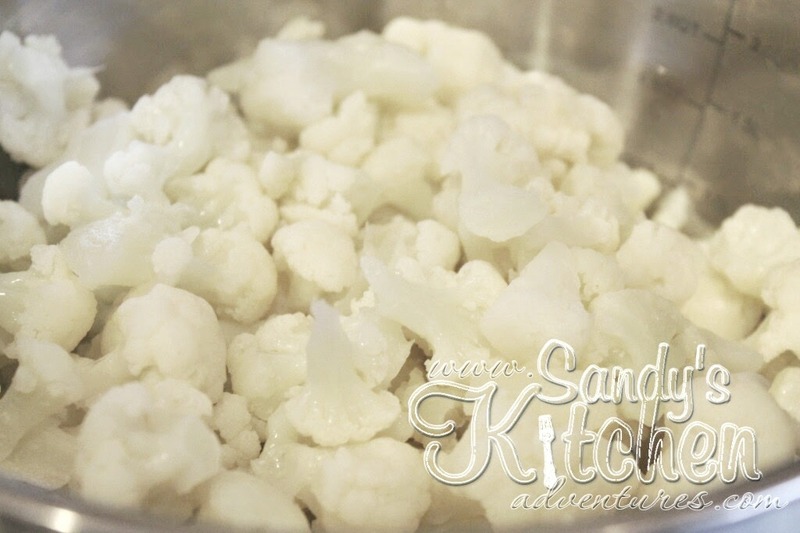 I cut up the cauliflower into small bite size pieces and cooked them until tender. 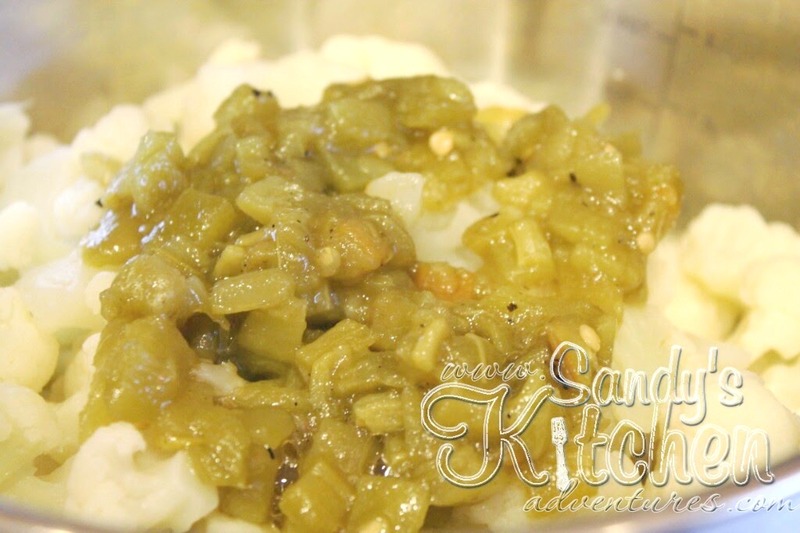 You can use frozen or fresh cauliflower for this recipe, but I used fresh. I added canned green chilies, green peppers and jalapenos to the cauliflower, but feel free to use red peppers instead of the green for extra color. Then add taco seasoned ground beef. Stir it up and set aside because it is time to make the best part! The cheese sauce! Add all the ingredients for the sauce and stir until smooth. 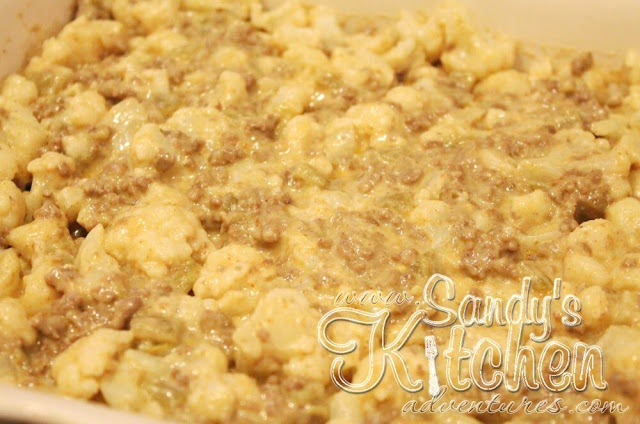 Pour the sauce over the cauliflower and ground beef mixture. 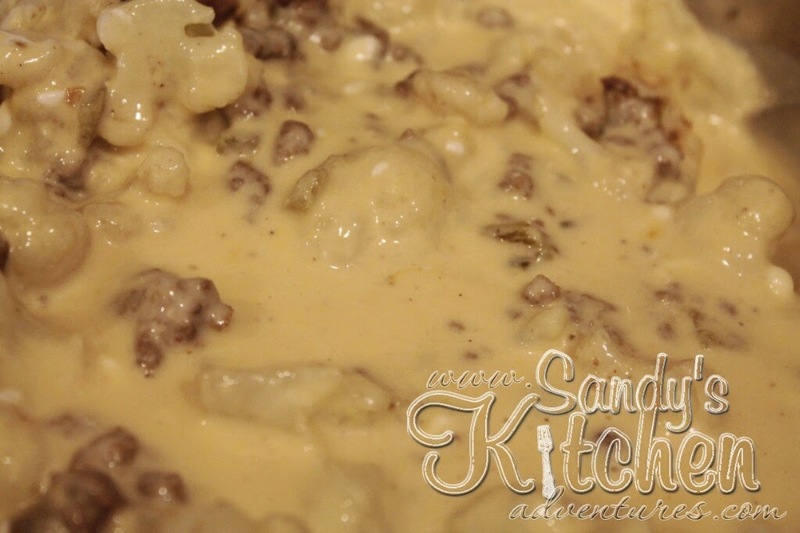 Give it a good stir and make sure all the bits and pieces are coated with the cheese sauce. You wouldn't want any piece to feel left out! 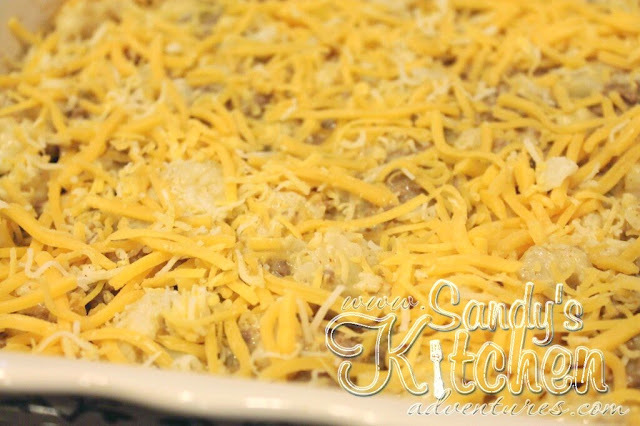 Pour it into a casserole dish. Sprinkle the rest of the cheese on top and pop it in the oven for about 15 minutes or until the cheese is melted. Enjoy! Preheat oven to 375 degrees. Spray a 9 inch square casserole dish lightly with cooking spray. 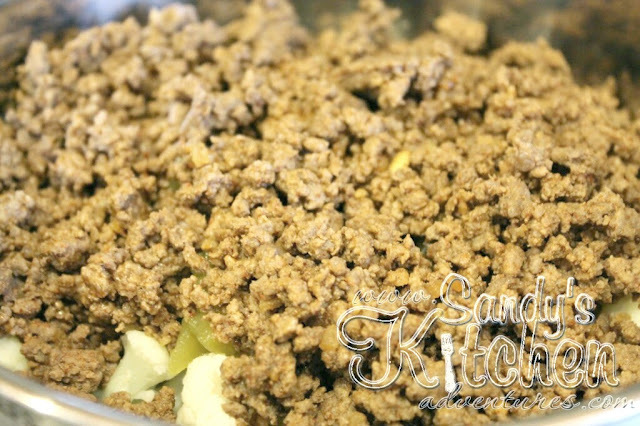 Combine cooked ground beef with taco seasoning mix and 3 tbsp of water in a small skillet. Heat over medium high heat. Cook until sauce thickens, about 4 to 5 minutes stirring occasionally. 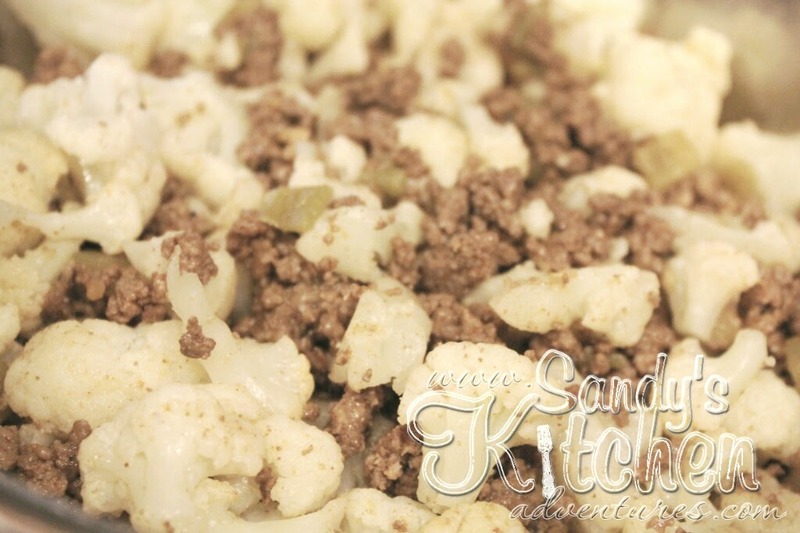 In a large bowl, combine seasoned ground beef, cauliflower pieces, green chilies, green or red peppers and jalapenos. Set aside. Pour cashew milk into a medium sized sauce pan over medium-low heat. Add the cream cheese, dijon mustard, parmesan cheese, and garlic powder. Stir until combined and cream cheese is melted. Add 1 1/2 cups cheese. Continue cooking until cheese is melted and sauce is nice and smooth, about 2 minutes. Pour the cheese sauce over the cauliflower beef mixture and stir until everything is coated with the cheese sauce. Pour mixture into a prepared dish. 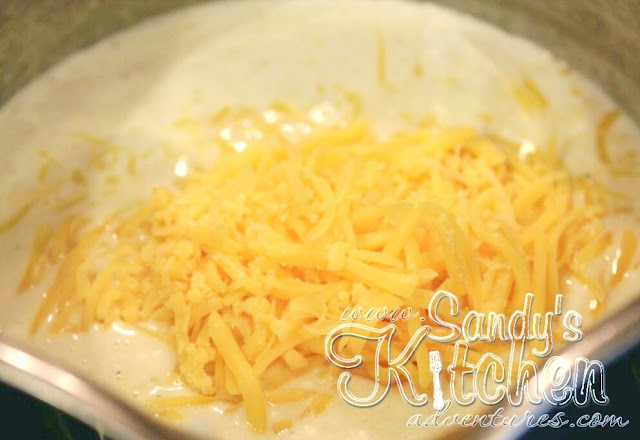 Sprinkle 1 cup of cheese over the top. Bake for about 15 minutes or until cheese is melted. Divide into 4 equal portions.